My life-changing encounters—death no longer separates us—there is a hereafter. My story reveals how my red winged visitors—along with a miraculous apparition—saved my life. It was the day after the funeral. I awoke feeling uncertain I’d make it through the day. Sleep had eluded me due to the painful shock of burying my one and only child. My beautiful daughter, Laura, was five months away from her 50th birthday. Once in bed that evening, I began feeling deep gratitude for my husband. It was his strength and my unwavering faith that I was now drawing upon. Just after midnight, I found myself tossing and turning. Overwhelmed by grief, the anxiety engulfed my very existence. The emotional pain had come in waves, taking my breath away with each sorrowful thought. Tears flowed with this intense yearning for my daughter. It was as though she vaporized into thin air, never to be seen again. This realization felt as if a large wave struck, pulling me into the open sea. Again I struggled to breathe—the unimaginable had happened. My future and the life I once knew, was taken from me in a flash. In desperation, I asked God for strength to persevere and for a sign my Laura was with Him in eternal life. As I lay in bed, my eyes wouldn’t close. I found myself staring at the clock. The minutes crept by as I continued hopelessly in prayer. Out of sheer exhaustion, I fell asleep around five a.m... Once daybreak arrived, I leaped out of bed due to those dark thoughts invading my head. I was ill prepared for the anguish I was experiencing. Even though I’d been through many tragic events, losing my daughter was one I wasn’t sure I’d survive. Just as I finished making the bed that morning, outside the window I noticed a red bird flapping his wings in the pine tree, trying to draw my attention. This elegant cardinal slowly flew to the nearby apple tree, as if trying to approach me. The red bird perched on the nearest branch, proudly cocking his head from side to side. As I moved closer and sat on the edge of the bed, we stared at one another as if both hypnotized. It happened to be a gray day with rain in the forecast. All of a sudden the dark billowy clouds seemed to separate, allowing the sun to peek through. These rays gave this exquisite cardinal the most brilliant red color as he gracefully took flight. It was in that moment I felt a warm and calming presence. I knew this to be a messenger from heaven, giving me the strength to carry on. My beautiful Laura let me know she was out of pain and distress— God had set her free. This comforting event carried me throughout that day. However the days, nights, weeks, and months following would have challenged the bravest! Nights turned into days—days into nights—living became a struggle. I’d find myself walking back and forth in my house, sometimes yelling, “why?”! Other times I’d find myself tearfully calling her name, trying to feel Laura’s presence. During those difficult days, I was partially aware of these outbursts and indeed relieved that my doors and windows were closed. 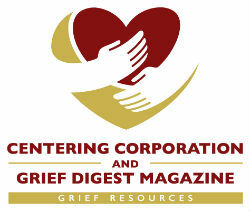 Growing up, our family suffered several tragic losses far greater than the normal family. The only memory of being a second grader was when my beautiful baby sister, Jill, died from pneumonia at 8 months young. It was less than two decades later when my younger sister, Martha, died by suicide at 24. In 1983, my brother George, 36, a Massachusetts State Trooper, was killed in the line of duty, brutally shot seven times. During those dark periods of loss, I tried to be steadfast, the one everyone leaned on. This allowed me to remain strong because, as a family, we were in it together. It kept me at arm’s length from the pain. This being said, the loss of my daughter was different—I was facing my worst nightmare, one I couldn’t wake up from. How was I to survive, living without my only child who was a big part of my life? From the time she was conceived we were closer than most mothers and daughters. I now live with this brokenness and intolerable silence. No phone calls—no texts—no more hugs. Two months later, I was awakened by the sounds of birds chirping and singing. The songbirds were rather loud that morning, enough to get me out of bed. In happier times these sounds would be music to my ears. On that particular day, this was noise encroaching on my worst thoughts and fears. As I shuffled toward the kitchen for coffee, I reached for a cup from the top cabinet. To the right, brilliant sunlight came streaming through the window. Just outside, two female cardinals sat side by side on the branch of an evergreen tree. My thoughts went immediately to Laura and her grandmother. I never felt so sure this was them. My mother and Laura were genuinely close. After Mother’s passing, Laura often spoke of the special times she had with her Nanny. Family and friends often remarked at the resemblance they had to one another. As these two female cardinals continued soaking up the sun, a bright red cardinal appeared just below them. I instantly thought of my dad, who was keeping a close eye on his loved ones. This was a family visit, a day blessed by God. The following month we headed to our favorite vacation spot in Duxbury. Traffic was heavy the week of July 4th. It was a holiday with fabulous weather and crowds of people bound for Cape Cod. As we approached the sign Entering Duxbury, it came to mind I had never noticed a cardinal by the ocean. This saddened me because these beautiful birds became my lifeline. Feeling low spirited, I convinced myself these visitors would await my return. The first two days at the cottage were difficult, with several crying spells. My husband sensed my feelings of despair and decided a ride away from the beach was necessary. For decades the cottage by the sea was our happy place—this year was different. As we drove a few hundred yards down the road, directly in front of our windshield, a cardinal swooped down making sure I saw her. She landed on the ground next to my door, letting me know Laura was hanging out in Duxbury. During the ride back, it became clear to me God sits with us in our grief. Our day turned brighter as we headed back to the beach house. My miracle … the most incredible thing happened the third night at the cottage. It was nearly midnight and I was having a tough time falling asleep. The waves were crashing one after another, possibly due to a storm brewing out to sea. These sounds were what I dreamed about in anticipation of another vacation by the ocean. As I lay in bed tossing and turning, I finally exhausted myself into the first stage of sleep. When I began to enter REM sleep, the most astounding thing happened! A glorious vision of my daughter appeared. Laura was surrounded by an almost blinding light. For one fleeting moment, she came toward me. Her arms stretched out, as if to embrace me, her youthful face pretty as a picture, with a smile so angelic. Her earthly suffering was completely eradicated… I sat up frightened at first, as this was indeed surreal. Frozen and in a state of shock, the realization set in: I had an unworldly visitation from my daughter by the sea. Although this vision happened in a flash, Laura had come to me with assurance and love. In spite of the initial shock, I felt extremely comforted from this powerful vision. It was filled with warmth emanating from this soothing light surrounding her. Physical death cannot sever the bonds of love between mother and child…Laura and I have that unbreakable bond—for eternity. As I continue to walk this path of grief, I’m learning to survive the unimaginable. Aside from a few shockwaves now and then, I look forward to the occasional gaiety and laughter. There will be moments of freefall, when I fall back into that black abyss. Nevertheless, I’m mindful I’ll find my way out having my faith to lean on. As much as I like happy endings, not every story can conclude in that way. Life for me will have both joy and sadness in unison. There is no question the loss of my lovely daughter has left me broken, but I also know if I continue believing in all that is before me, I can walk through most anything. My faith has been tested many times. My survival has always depended upon my ability to remain strong. What I experienced is truly a phenomenon within our vast and glorious world. We can all tap into it, by simply looking around at natures finest. For me, I believe God’s magnificent creation starts with us as being his best work. He gave us the power of choice and the ability to use our senses. For me, I needed understanding in order to survive my most painful loss. That’s when my visitors appeared, and my heart opened to receive God’s affirmation—knowing that one day, Laura and I will once again be together. My Red Winged Visitors is a non-fiction, personal essay written from the shattered heart of a mother who finds a way to live through her worst nightmare.., the loss of her only child. Her story begins on the day all hope was lost—until a cardinal began flapping its wings drawing her attention. The reader will walk through this trauma with the writer, pondering as to how she got her strength from these Cardinals. The Personal Essay was written to give hope and healing to many who have lost loved ones. Molly’s solace came in the form of a messenger. She believes her search for meaning is at the heart of her survival.